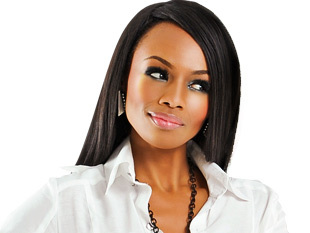 Gauteng-based youth radio station Yfm, has released Bonang Matheba, Sizwe Dhlomo (Siz) and Siyabonga Ngwekazi (Scoop). YFM Programming Manager, Tumelo Diaho-Monaheng, said Bonang, will be leaving YFM at the end of March 2014 after 5 years on air. Sizwe (Siz) and Siyabonga (Scoop), who also joined the station in 2009, will also no longer form part of YFM’s programming plans going forward, the station announced today. Diaho-Monaheng said the changes are part of a dramatic overhaul of the station's lineup for the 2014-2015 programming year starting April. Diaho-Monaheng, said it had been a pleasure working with Bonang, whom he described as "one of the most talented individuals of recent times", but added that the changes were a necessary part of the station's on-going programming strategy. “As a youth radio station we are continuously identifying and honing our on air talent to resonate with our young audience," said Diaho-Monaheng. Bonang said “I have had an incredible 5 years at YFM, building some awesome relationships with my listeners on the station. During this time my brand has grown in leaps and bounds, both as an artist and as a business woman. The next chapter in my life is all about strengthening my craft and elevating my offering and platforms like never before”.